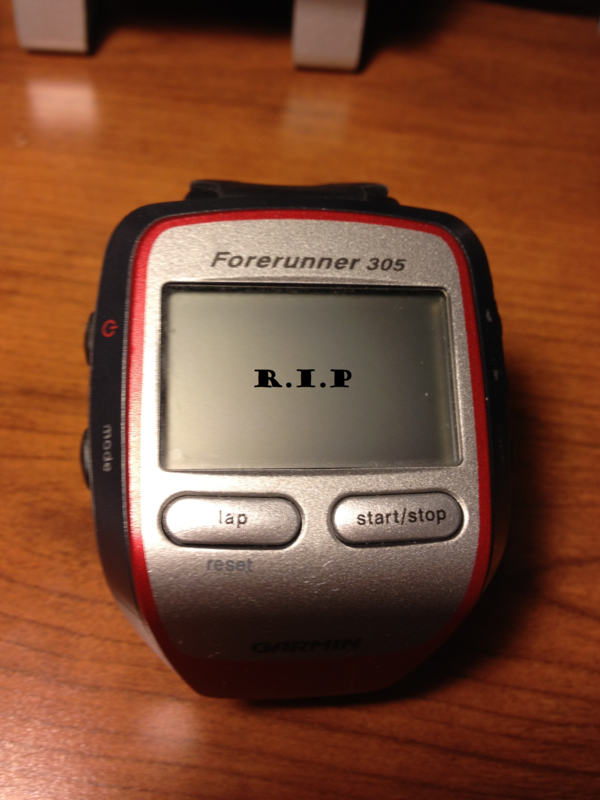 After many, many miles of running with my trusty Garmin Forerunner 305, it recently kicked the bucket. I used RunKeeper on my iPhone for a while and I like it, especially for programming intervals and for the automatic posting aspect, but just can’t live without a GPS watch. 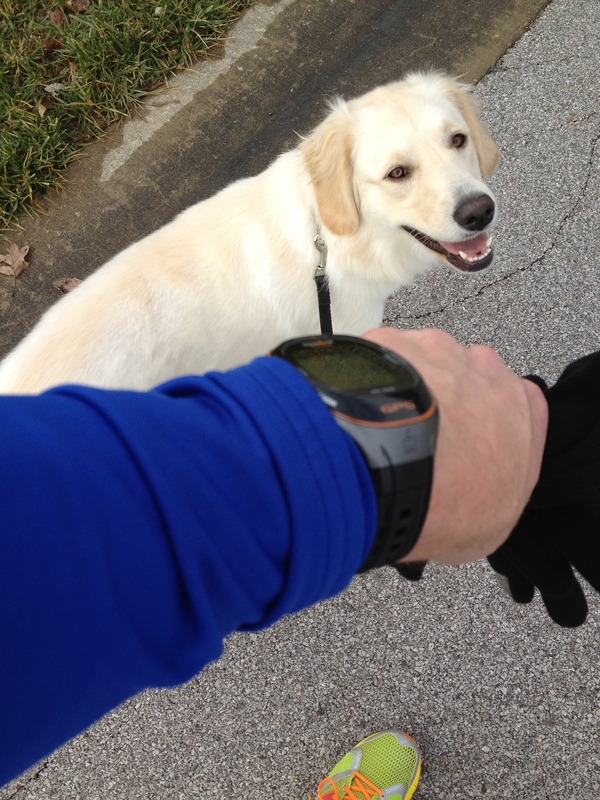 Taking advantage of a $50 mail-in rebate, I purchased a Timex Run Trainer. I did quite a bit of research considering reviews, functions (GPS, customizability, waterproof, HR monitor), and price point, and the TRT won out for me. The TRT is pretty large compared to the newer Garmin watches, but I’m ok with the size of it and prefer actual buttons to some sort of touch interface. I’m still learning how to use this thing. It can be customized a million different ways, which naturally leads to the complexity. Everything can be setup on the watch itself or downloadable software can be used to do the same thing much more quickly. The TRT uploads to TrainingPeaks instead of using its own proprietary software, such as Garmin Connect. I’ve used TP a bit in the past, but with the new watch I’ll move exclusively to TP starting in 2012 (sorry DailyMile.com). I went out for my first run with the TRT today and had no issues with it. 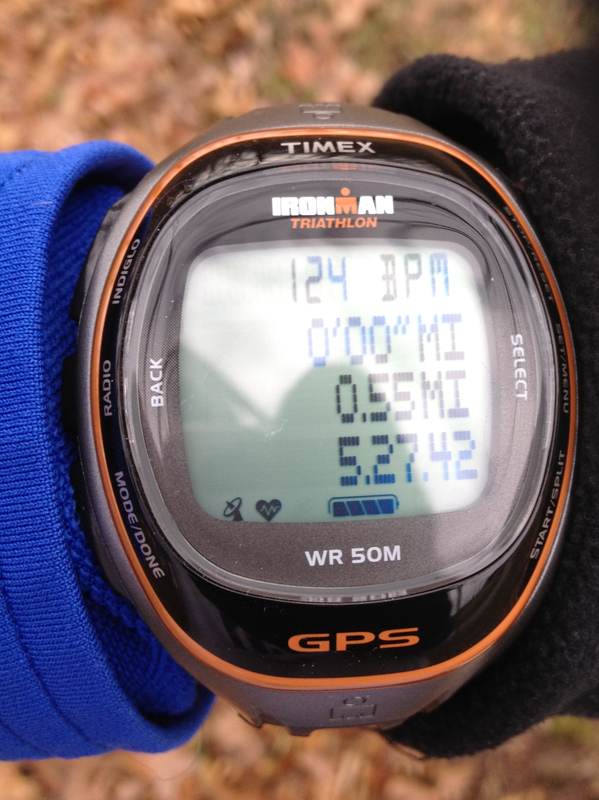 The pace and distance seemed to be right on and the HR monitor also functioned just fine. Here are a few more snapshots. I’ll try to post more in the future… once I figure out how to use it! Nice. Let us know how it works out! Nice report. I got one at Christmas, my first HRM, and have struggled to set it up. I’ll try it on the computer, good tip. I think the most confusing thing is that you set up the run display to show 4 lines and then you go to “CHRONO” and you don’t see that. It will only show up after you start the GPS and get going. Very odd. I really like it and actually do wear it all the time, but it takes a bit to figure it all out for sure. 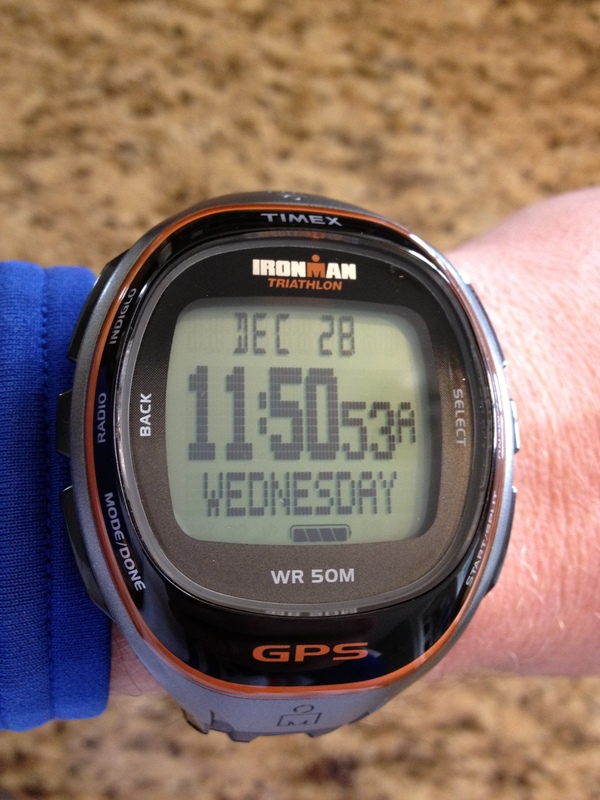 With this watch is NOT possible to create﻿ a distance interval training. With Garmin you can do it. I was just looking at my watch using the Device Agent software and it looks like you can Interval with a Distance goal. Haven’t tried, but it may be possible. Nico is correct. I bought on a bad internet review which said you can, but you cannot do distance interval. I have no idea what the goal setting does. It seems it only reports whether you reached the goal or not on the software, not on the watch. Hi edward. The only way to create a distance interval is to insert the time during which travel the distance. I’ve been a Garmin fanboy since 2006 when I gave up my old Timex killer armpiece to watch deal. I must say I haven’t looked back. This may be a little high schooly of me, but since all my running buddies use Garmin, it’s much easier to get advice and sync our times, etc. 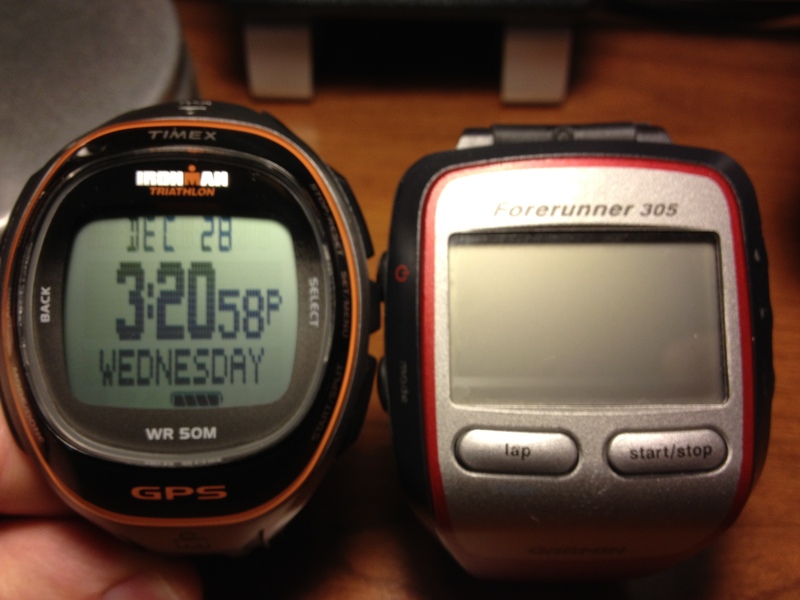 Love this post, but it seems that even you believe the Timex may not be as intuitive as the Garmin.